We want YOUR photos! View from bottom up. 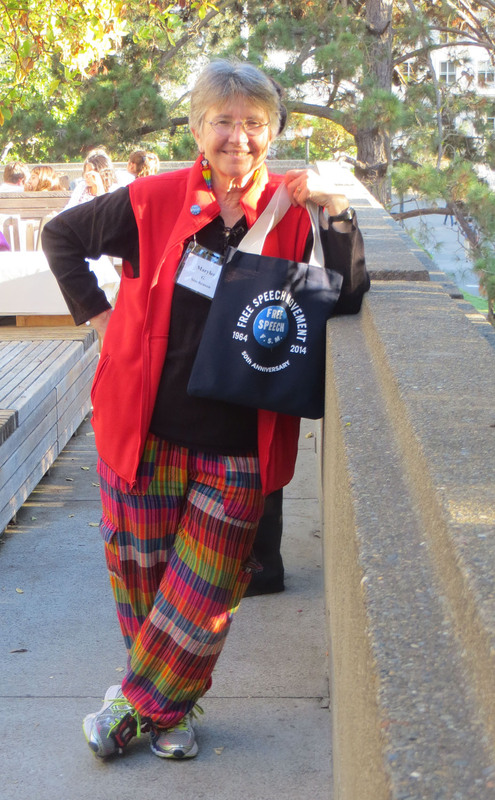 October 1, 2014. Hangings by Dana & Bruce MacDermott and Sallie Shawl. Hung by Jack Radey. 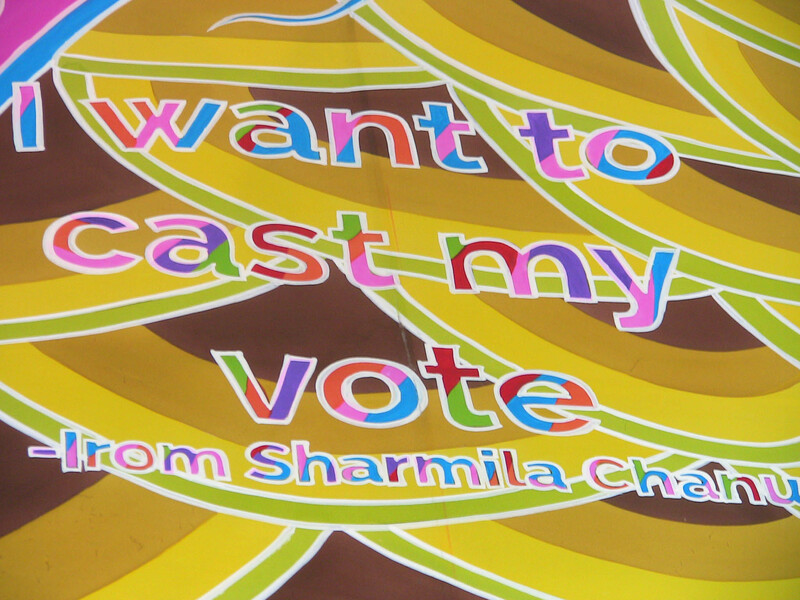 Poster by Grant Hao-Wei Lin. Gar Smith photo. 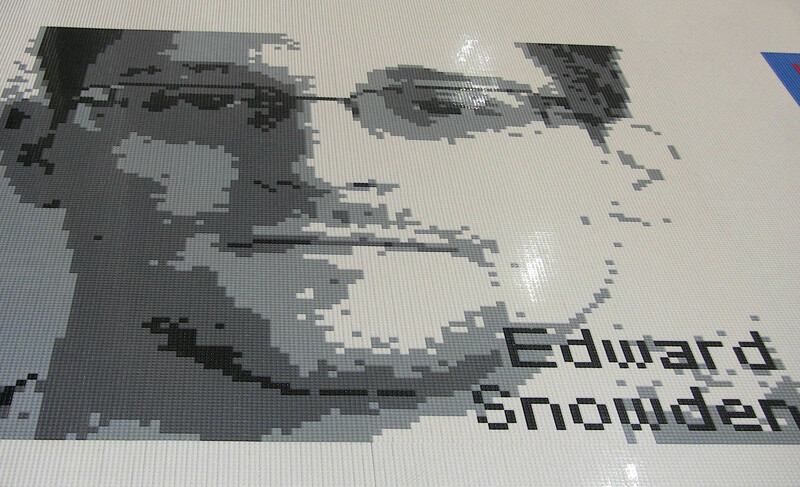 Tuesday, September 30, 2014: Alcatraz: Edward Snowden lego sculpture in Ai Weiwei Exhibit, @Large. Photo by Peter Wiesner. 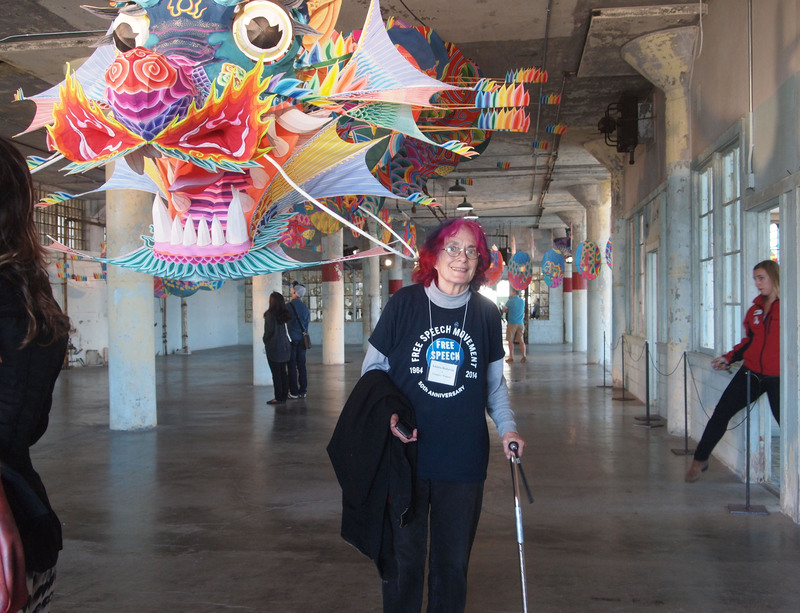 Tuesday, September 30, 2014: Alcatraz: "I want to cast my vote" in Ai Weiwei Exhibit, @Large. Photo by Peter Wiesner. 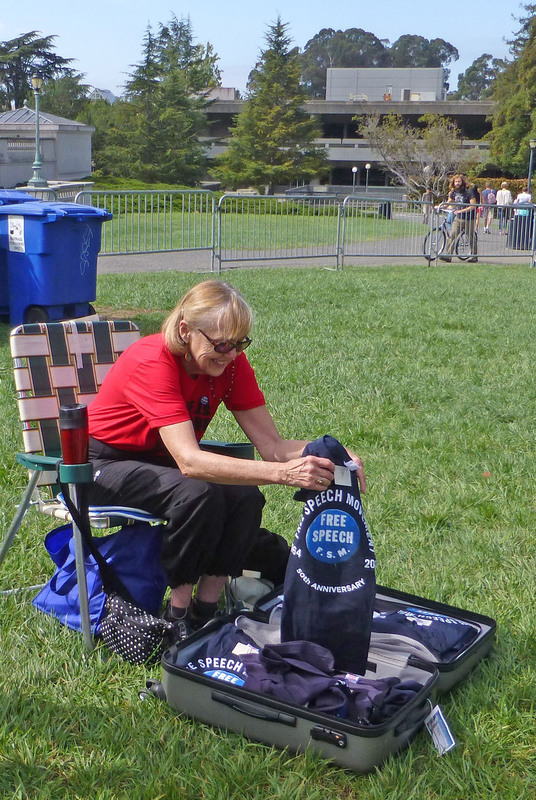 Sunday, September 28, 2014: Karen McLellan selling the last of the T-shirts! Photo by Dana MacDermott. 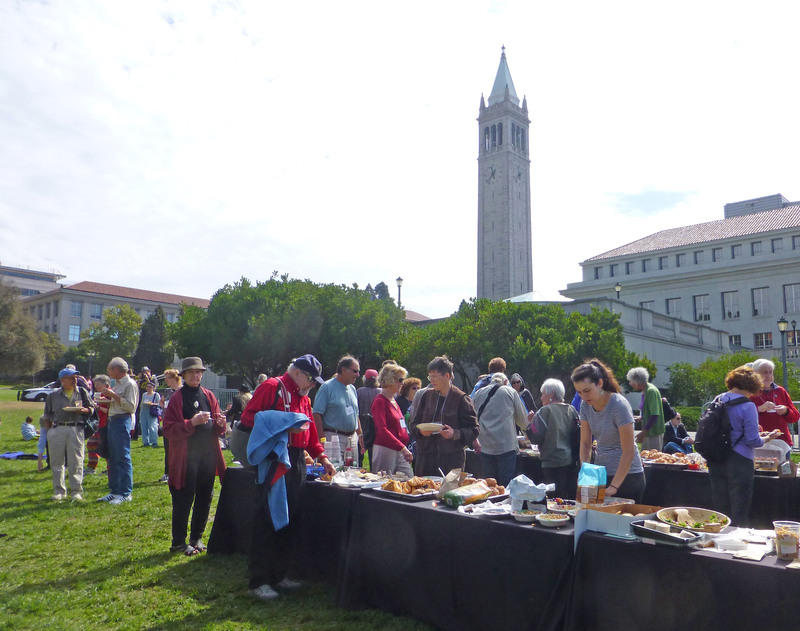 Sunday, September 28, 2014: Picnic in Memorial Glade. Photo by Dana MacDermott. 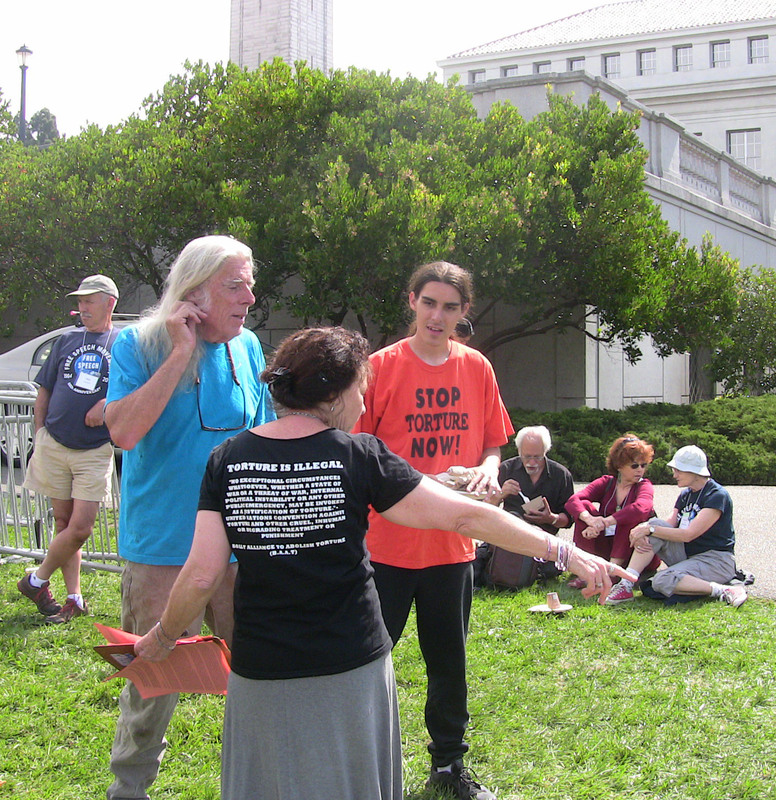 Sunday, September 28, 2014: Picnic in Memorial Glade: L to R: Michael Delacour, Cynthia Papermaster, and ???. "Torture is Illegal." Photo by Peter Wiesner. 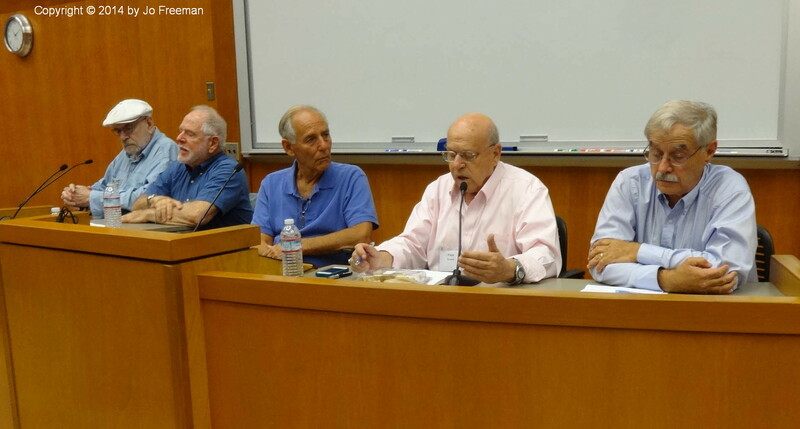 Saturday, September 27, 2014: SLATE Panel: L to R: Herb Mills, Mike Miller, Ken Cloke, Peter Franck, Wendell Bruner. audio Photo by Jo Freeman. 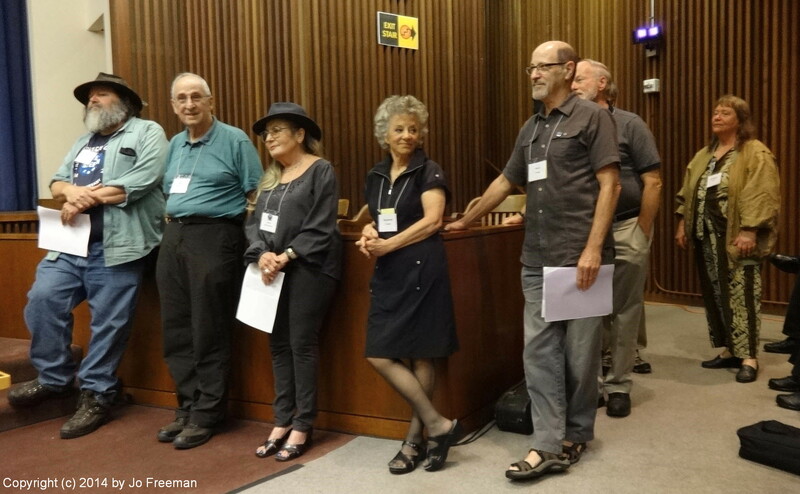 Saturday, September 27, 2014: Memorial speakers queue: L to R: Jack Radey,Jack Weinberg, Anita Medal, Stephanie Coontz, Steve Lustig, Evan Alderson, Kathleen Piper. Photo by Jo Freeman.